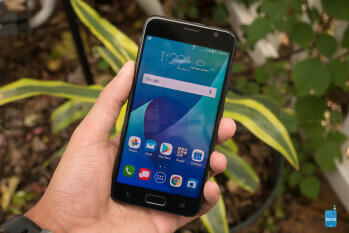 As Asus continues to roll out installments in its Zenfone 4 lineup, the company has taken a moment to release Verizon's very own, exclusive Zenfone: the Zenfone V. The V, of course, means “Verizon” and not the numeral “five,” as this is certainly neither part of the Zenfone 4 series, nor is it a jump to Zenfone 5. Instead, we have a sleek-looking phone constructed of aluminum and glass, packing 2016-level flagship components. 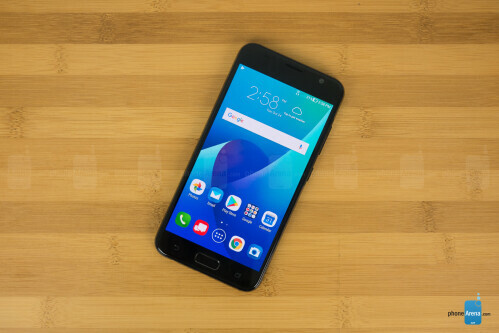 These include a Snapdragon 820 with 4 gigabytes of RAM, a 1080p AMOLED display, and a 23-megapixel camera. 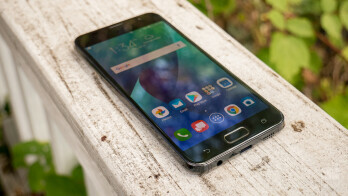 Selling for $384, Asus looks to be taking a crack at the “affordable flagship” division with the Zenfone V, albeit a contender better suited for 2016, and thusly forfeiting such a distinction in 2017. Still, many 2016 phones can hang just fine with this year's newest breed. So, can the V hang too? 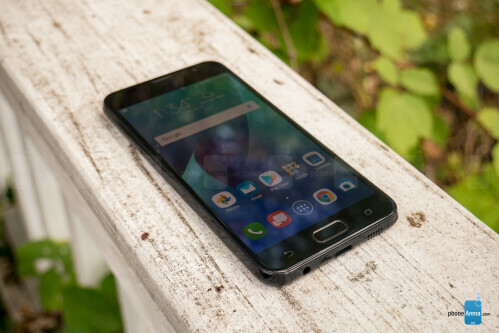 In terms of design, the Zenfone V is a bit of a departure from most Asus phones. Gorilla Glass 5 sandwiches the device's black, aluminum frame. The sides have shiny tapered edges at the front which meet with the rounded matte finish in back. These angular cuts give the device some character, but they don't necessarily make it fit better in the hand as opposed to the smooth, rounded sides found on other handsets. Under the glass backing is Asus' familiar “Zen” concentric circle design, which looks quite nice. 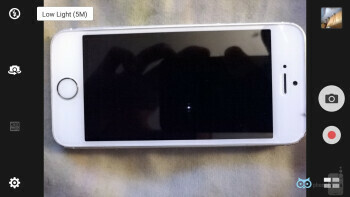 The camera, with its built-in OIS, does stick out and create a protrusion. We thoroughly enjoyed the perks of a 1080p display, even at the size of 5.2-inches, which is smaller than the average today. Producing 424 pixels per inch, on-screen content was clear and detailed. Colors air slightly on the bluish side, but enough tools for tweaking are found in the Settings menu to rectify this. Otherwise, the deep, rich colors of this AMOLED display were always pleasing to look at. 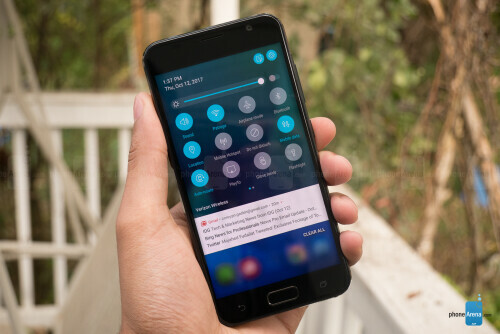 As always, ZenUI offers a snappy experience with much customization. The Snapdragon 820 paired with 4 gigs of RAM doesn't disappoint. Moving through the OS feels light and responsive, despite the deep customization and tweaks offered by Asus; and there are plenty of tweaks. Verizon does neuter the experience a bit by taking away the theme store, among other Asus apps, but you can still change icon sizes, label colors, grid layouts, scrolling effects, and more. Thankfully, we have USB-C charging on the Zenfone V. Unfortunately, the bundled charging cable is USB-C to USB-C. No USB-C to USB-A adapter is included. This is fine for people with very new computers that likely have USB-C ports, but otherwise you'll need to buy an adapter to transfer your data. NFC is also on board alongside Bluetooth 4.2. Of course, this is a Verizon exclusive, and as such one should expect that the device will only be equipped to run on Big Red's network. 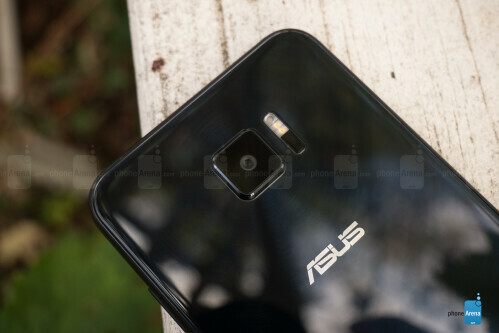 Asus loves to crank up the megapixels on their phones, but often the software delivers results just short of the mark. In the case of the Zenfone V, the 23-megapixel sensor captures excellent details, as it should. However, color reproduction wasn't nearly as consistent. Most of the time you'll capture accurate colors with the V, but a tendency to add a yellowish tinge is often evident. We also saw some scenes get pushed way over to the bluer end of the spectrum, though this was less common. 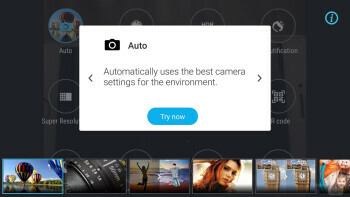 Turning on HDR, rather than using the auto-HDR mode, usually corrects these issues – an alternative which thankfully doesn't add much of a delay between shots. The V's abilities in picking up detail and color in lower-light scenes while keeping noise to an absolute minimum should not be overlooked, though a higher adeptness with taming hotspots would be appreciated, even when HDR is enabled. Asus’ Depth of Field mode makes a return on the Zenfone V. The resulting photos are unfortunately quite disappointing. Better at focusing objects than people, this mode remains largely useless, as even the best blur applications are spotty and wildly inconsistent. Tapping the object to focus is a necessity, though, and we found ourselves having to take a few taps to properly find the focus – a phenomenon we noticed in all shooting modes. The Zenfone V is capable of recording 4K video, but unfortunately lacks the proficiency in detail capture found in still images. Noise and artifacts can be seen even in well-lit scenarios. Colors and exposure are decent, and autofocus was usually quick and accurate, albeit a bit hit-and-miss at times. Image stabilization also plays a large role in the V's smooth video capture. Calls come through clearly on both ends, and the speakerphone is plenty loud. Reception seemed to be quite strong as well, connecting phone calls in spots in which we'd usually have more trouble. A full day of use requires a concerted effort. Well, evidently you can't have all of ZenUI's speed and customization without a disappointing battery. 3000 mAh ought to get you farther than it does on the Zenfone V even with high-end components like the super AMOLED display and Snapdragon 820. Alas, the V struggles to make it through a day of moderate use. Even knowing this, the V lasting less than five hours in our custom screen-on test was still a let-down. 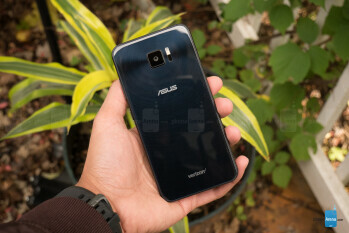 Asus has created a _phone_ that could only compete on Verizon's tiny roster. At Big Red, you can still get an iPhone 6s for $70 more or the Moto Z2 Play for $20 more, both of which will offer better battery life and are likely to take better photos. In totality, though, the differences between these three phones aren't huge. 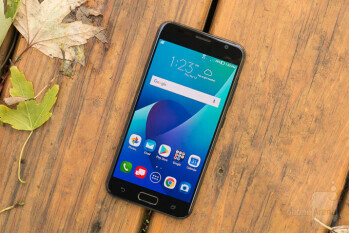 If you're a Verizon customer, you will be getting a lot of value for $380, as the Asus Zenfone V is a premium-looking device with fast internals, but just don't be surprised if your friends on other networks lord their superior OnePlus or Honor devices over you.